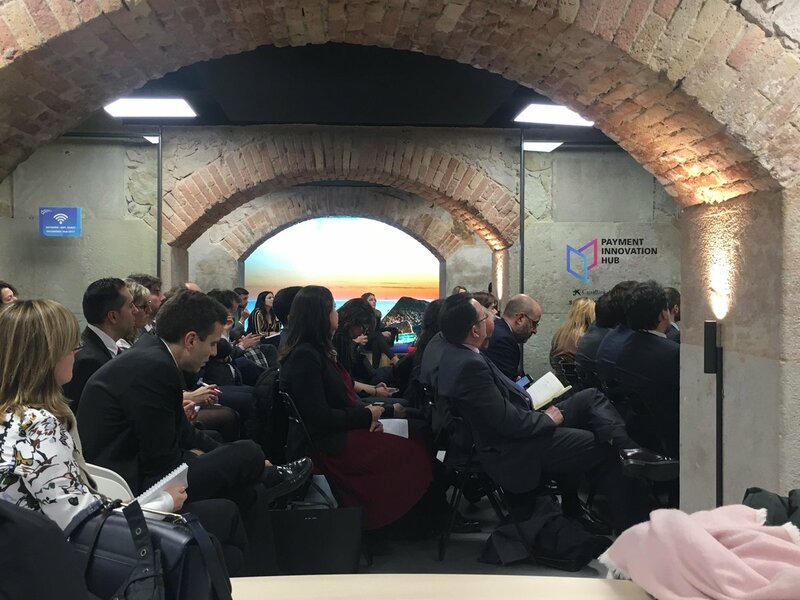 The account managers of the Caixabank Hotels & Tourism network were the addressees of the recent conference to promote the advances of the Addon Payments platform in the hotel sector, held at the Payment Innovation Hub. Dingus was one of the partners invited to present its catalogue of solutions in the form of products and services to improve efficiency and profitability in the marketing of tourist services. The exhibition of the CFO and co-founder of the company, Juan Tomás-Verdera, began with an introduction to the concept of channel manager as “a tool that allows hotels to manage their entire online distribution from a single system. With ours, for example, it is possible to automatically update the inventory and rates of all connected distributors in real time, thus avoiding situations such as overbooking”. Dingus’ proposals also pass for a platform for the integral management of collections, an area of special interest for the attendees. Book&Payment has been designed to guarantee compliance with the payment card industry standard known as PCI DSS, which, in the words of Tomás-Verdera, “not only reduces fraud, but also increases security and optimizes collection processes, speeding up aspects such as telephone sales. In addition, it makes it possible to broaden the vision of hotel sales by unifying Cashflow and Revenue in real time”. Dingus’ CFO recalled at the meeting that “the business rules offered by Book&Payment allow simplifying, facilitating and optimizing the financial management of a hotel, working on the data of reservations and payment processes, saving time and risks for the business“. It should be noted that the pilot project of the platform materialized last year thanks precisely to the collaboration with Comercia Global Payments and the payment gateway Addon Payments. This phase allowed to verify that, among other possibilities, the tool allows that “our clients can operate the transactions with total security and tranquility, since the contact center fulfills the standards PCI and the business is protected financially and legally“. Although the main interest of the meeting was logically related to Book&Payment, we also had the opportunity to present to the attendees other state-of-the-art products that make up the Dingus suite, such as Bookincenter, Roomonline and Mychannel. The Payment Innovation Hub’s mission is to jointly promote R+D+i projects that bring the best and most innovative experiences in means of payment to society. It is the result of the joint work of CaixaBank, Global Payments Inc, Samsung, Visa and Arval. The objective, say its promoters, is “to propose joint responses to the challenges and opportunities that the world of means of payment will offer in the coming years, thanks to technological advances, regulatory changes, the presence of new players and, above all, changes in the expectations and needs of users”. From Dingus we appreciate the opportunity to present our work and support all these initiatives for the dissemination and exchange of knowledge and experiences.